Vapour barriers are used to stop the migration of fluids through walls or even harmful gases that rise from the ground. 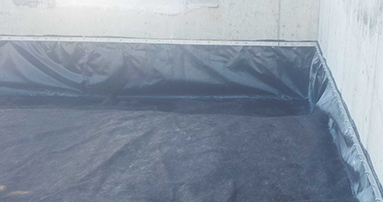 With the correct geomembrane liner system, these fluids or gasses can be successfully and safely stopped from entering a building or structure. There are many different liners that will work in specific situations to solve many problems.